The Heart of True "Ministry"
This summer my wife and I were able to travel to Haiti to join our partner organization, Haiti Awake, in the incredible ministry they are doing in one of the most intriguing countries in the world. There were so many unforgettable moments that were crystalized in my mind, but one unique moment sticks out above the rest. 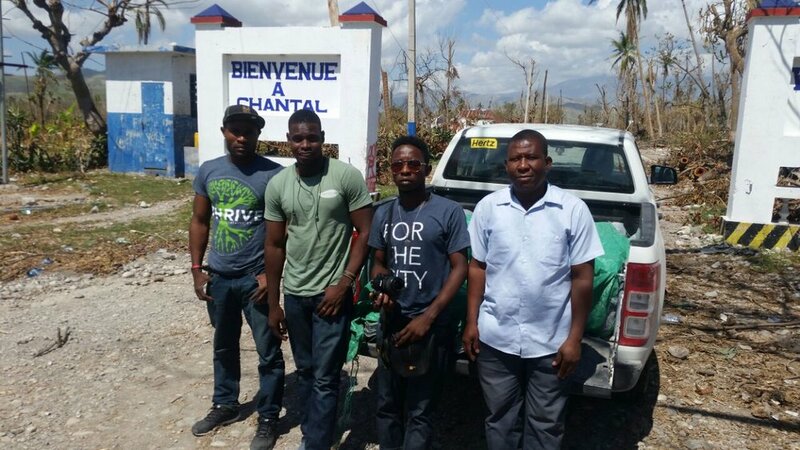 One afternoon while we were in Haiti, I was invited by Steeve—a local Haitian seminary student who works with Haiti Awake—to join him for some ministry in the neighborhood. I wasn’t exactly sure what he meant by “ministry," but I told him I’d love to join him since I’m always up for a new experience. I’ve been a pastor for years, so I was sure this wasn’t going to be anything new for me. I was wrong. What unfolded was pure ministry bliss. Part of Steeve’s regular “ministry” in his neighborhood includes walking to various homes and praying with those who are sick or in need. So, for the next couple of hours, we walked and entered homes to spend time with people who are in need. We sat. We listened. We shared Scripture. We laughed. We cried. We hugged. And we talked about the goodness of God and how he cares for us as his dear children. One of the families we spent considerable time was this couple. Though facing a trial in life, they were the happiest people I’ve ever met. Though walking through significant pain and hardships, they were confident that God was working all things for their good. Note: Fre Jack, pictured above with his wife and Pastor Ethan, has been a vital part of our hurricane relief efforts. We are thankful for his hard work and the way God has allowed us to work together with him to bring healing and hope to our brothers and sisters on the southern peninsula of Haiti.